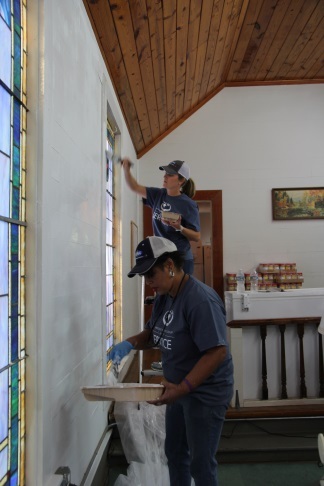 On Thursday, October 5, 2017, the Sequachee Valley Electric Cooperative (SVEC) spent the day at MCCM painting the interior and beautifying the exterior. 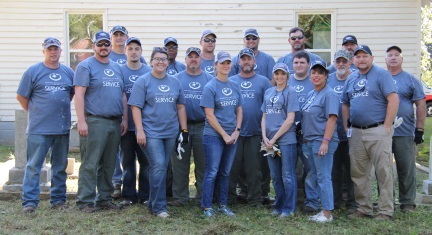 This amazing group of Hunger Heroes, led by Vice-President Shelby Potterfield and CEO and President, Mike Partin arrived early in the morning armed with string trimmers, paint rollers, chainsaws, paint brushes, paint, cleaning supplies and the group of folks ready for a day of hard work. SVEC, as part of the Tennessee Electric Cooperative Day of Service, spent the day at food banks in Grundy and Sequatchie Counties. 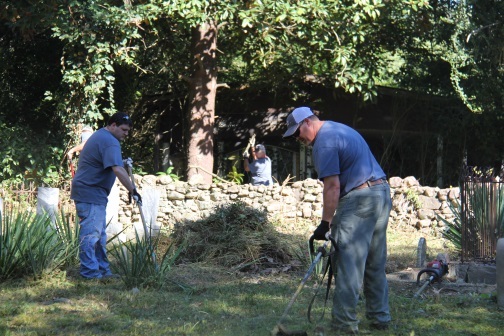 Later this month SVEC will send a team to Bledsoe County for a Day-of-Service there as well. All this and they keep the lights on too! Thank you SVEC! We love you!